Learn how you can increase PAP adherence rates within your sleep center or clinic with our free ebook. We've written about how dental and oral appliances have emerged as a popular option for sleep apnea patients (as well as the pros and cons of using this treatment method) but here's a refresher. Patients who prefer to wear an oral device instead of wearing a CPAP mask have become increasingly comfortable with this treatment option. 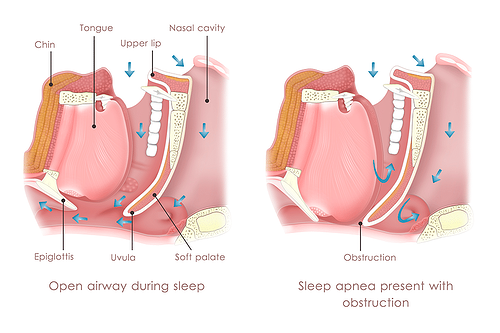 Oral sleep apnea treatment devices prevent the airway from collapsing by holding the tongue in position or by sliding the patient's jaw forward so patients can breathe while they sleep. A sleep technologist can titrate an oral appliance fitted by a dental professional trained in sleep medicine. 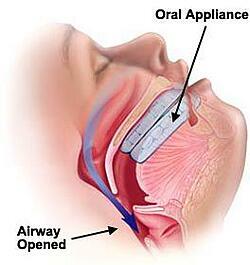 Oral appliance therapy is recommended for patients with mild to moderate sleep apnea who cannot tolerate CPAP. The most common options reduce or eliminate the extra tissue in your throat that collapses and blocks your airway during sleep. Surgical therapies are not as effective in treating sleep apnea as CPAP and oral appliances. There are a variety of surgical options that may work for your patients if CPAP or oral appliance therapy do not. In some cases, weight loss can help improve or eliminate your patient's sleep apnea symptoms if they are overweight or obese. Overweight people often have thick necks with extra tissue in the throat that may block the airway. This is for people who are overweight and are physically able to engage in a weight management program. There is no guarantee that losing weight will eliminate their sleep apnea, though it may help. This approach is unlikely to make a difference in patients with a narrow nasal passage or airway. Positional therapy is a behavioral strategy to treat positional sleep apnea. 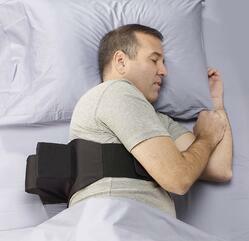 Some people have sleep apnea primarily when sleeping on their back. This is called the “supine” position. Their breathing returns to normal when they sleep on their side. Positional therapy may involve wearing a special device around your waist or back. It keeps you sleeping in the side position. In a clinical study published in 2012, scientists tested the long term efficacy of this therapy and found that positional therapy can be an effective form of treatment. They tested patients with "positional OSA who refused or could not tolerate continuous positive airway pressure (CPAP)." There are a variety of lifestyle changes that your patients can make to help reduce their snoring and improve their sleep apnea symptoms. Behavioral changes such as quitting smoking or not drinking alcohol may improve sleep apnea symptoms. Alcohol relaxes your throat muscles which can cause you to snore or your airway to collapse. If your patients have allergies, taking a decongestant before they go to bed may help improve airflow through their nose. If your patients have difficulty staying with their treatment plan or cannot sleep well even with treatment, you may recommend Cognitive Behavioral Therapy. A behavioral sleep specialist will help them eliminate the thoughts and behaviors that may be preventing them from getting restful sleep or complying with their treatment. If your patients don't want to wear a CPAP mask, then you can try recommending alternative sleep apnea treatment options. Wearing an oral/dental appliance to help prevent the airway from collapsing. Getting surgery to potentially reduce or eliminate the extra tissue in your patient's throat. 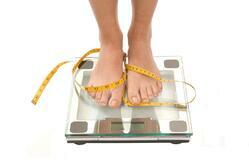 Undergoing a weight management program to potentially improve or eliminate your patient's sleep apnea symtpoms. Partaking in positional therapy to treat positional sleep apnea. 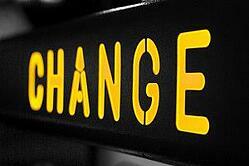 Considering changing some everyday habits, such as negative behavioral actions.